Thanks for joining me again for the new #TeachMe series. Those of you who have been keeping up with my posts for a while know that the theme of my blog focuses on mending relationships. I’ve spent quite some time now providing insight, new perspectives, and advice on how to improve your romantic relationships, as well as those between friends and co-workers. Today, I wanted to shine some light on another important aspect of our lives…the parenting relationship. Now, I’m no certified expert in this area, so today I include myself in learning something new. I think many of us can agree that communication is one of the top priorities in nurturing a healthy and successful relationship. I’m sure many of you have mastered the skill of understanding baby talk…but, hopefully you can agree that this alone can become challenging. Young children appear to have so much to say, and often times they have not yet fully developed the vocabulary to express themselves. Both parent and child may then become easily irritable. An increase in emotional and behavioral concerns from the child can take place as a result. “Play is a fun, enjoyable activity that elevates our spirits and brightens our outlook on life” (Russ, 2004). Play therapy is a way for both parent and child to begin learning how to communicate with one another. 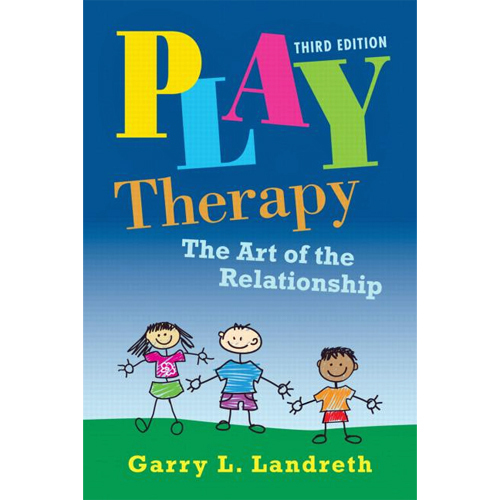 “Play relieves feelings of stress and boredom, connects us to people in a positive way, stimulates creative thinking and exploration, regulates our emotions, and boosts our ego” (Landreth, 2002). Initially, play therapy was created to treat mental, behavioral and psychosocial concerns, with weekly sessions with your child and a trained play therapist. But I don’t see the harm in using this technique for any child under the age of 10, and with parents who want to improve their interactions with their child/decrease behavioral and emotional concerns. Just be sure to gain as much knowledge as possible in this therapy technique. Why would I need someone teaching me how to play with my children? I already play with my kids…and we have fun! I completely get that you may have these thoughts initially. I wanted to highlight the difference between play therapy and just everyday play. Watch this quick video here on play therapy, to get a better idea of what this entails. Play therapy helps parents to learn more about their children. Typically, children are unable to express themselves verbally. For example, as a parent you may not get an accurate account of how your child’s day was (either at school or daycare), through verbal descriptions alone. In addition to these types of questions, parents can allow their children to take the lead through play, to gain a better understanding on what they are feeling, and what they have experienced. You have to allow the child to lead completely, refrain from guessing at what the child may be doing during play, and fight the urge to “help” them complete a task that you know they are capable of doing on their own. For example, asking your child things like: what do you want me to do next, where should I sit, what do you want the police officer to say? Try not to assign any names or labels to any of the toys until your child does so first (ie.the car may not be a “car”..may be a spaceship!). Your child will begin gaining confidence, and learn how to better express themselves. Again, this type of play is separate from your everyday play (30 mins-1 hour, weekly or as often as you’d like). *Board games are not encouraged for this type of play, because they limit expression and creativity. Other than that, board games are awesome, and are a household necessity! What are your experiences with playing with your children? How often do you play? Thanks for reading! Go out, play, and have fun! Click here to learn more about play therapy: benefits, what this treats, etc. Click here for a more detailed list of toys to include in play therapy.